Don't move out - Move up!! A mezzanine floor will offer your business a cost effective alternative to re-location by making use of the dead space, above your head that you are already paying for. Your mezzanine floor will gain you extra space at a fraction of the cost of moving your business. You can use your new floor for storage, production, office or retail, and Hampshire Commercial Refurbishment will design, manufacture and install the perfect solution. Working closely with an approved building inspector and calling on over 60 years of experience in the industry, we ensure that your floor is designed to specification and installed on time and within budget, and fully compliant with all building regulations and fire safety legislation. Sitting above the main floor of the building, the mezzanine can be designed for a wide range of applications and uses. 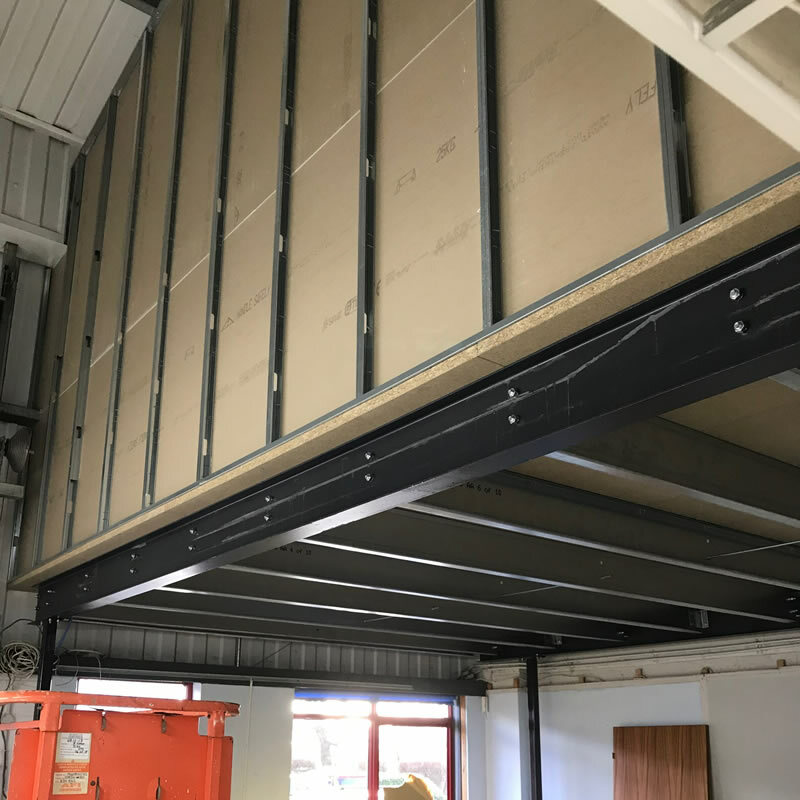 The loading of your mezzanine can range from 3.5Kn/m2 for light storage or office space, to 9.5Kn/m2 for heavy storage or manufacturing, and will be designed to suit your requirements, following a brief site survey and chat about your needs. 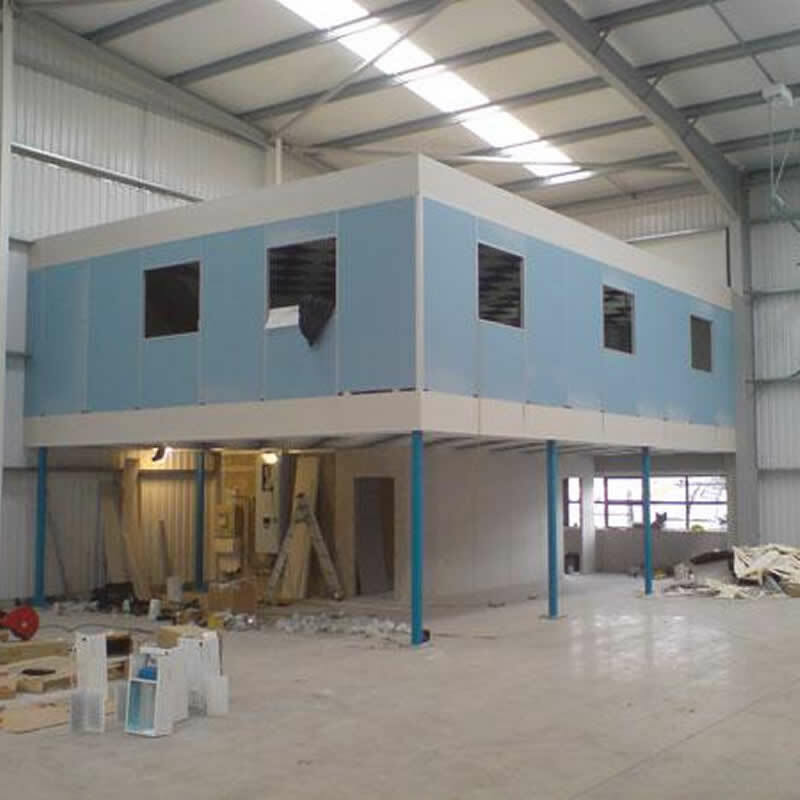 We will guide you through the install, from initial quotation through all stages of mezzanine floor production including design, building regulations approval, manufacture and installation. We can offer a full Turnkey solution, inclusive of Fire Protection, Electrical Works, Lighting, Plumbing, heating & ventilation, suspended ceilings, partitioning and floor coverings, right through to suppling the furniture that will occupy the space. We will visit site to conduct a brief site survey and have a chat about your requirements. We will provide a quote, including drawings, and leave you alone for as long as you need. This is an investment into your business and these decisions cannot be rushed! If you would like to proceed, we will ask you to confirm your order with us. We will arrange for an engineer to carry out a construction survey. CAD drawings will then be created by our highly experienced design team based on design and site survey findings. We will issue these, and ask for them to be signed off for manufacture. A Structural Design Report for Building Regulations approvalwill be produced containing structural calculations. Once production is complete, your new mezzanine floor will be delivered to your site, and our installation teams will immediately commence construction. Safety and quality inspection carried out and signed off. We will then carry out any ancillary works that you have requested, including fitting out. Once complete we carry out a complete snag of the whole project, and hand over to you snag free, ready for occupation.